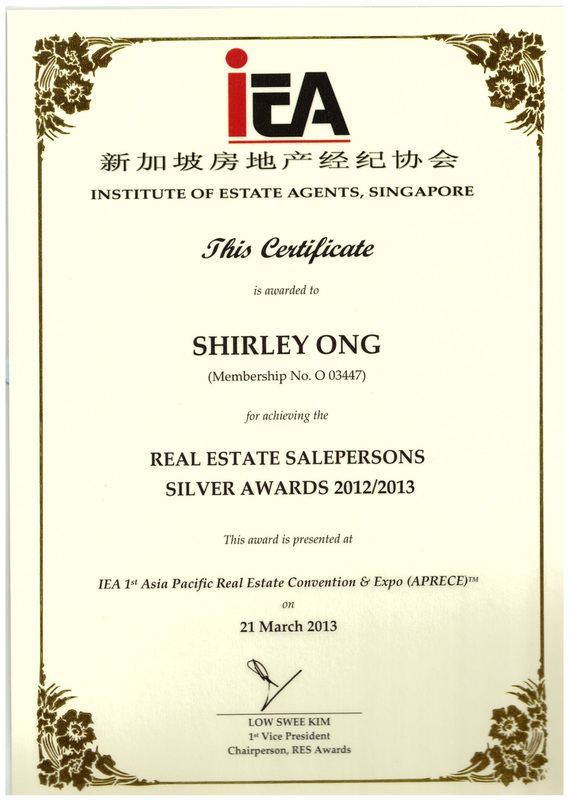 I am Shirley Ong, your Best Choice for Residential Property . Over these years I have won over 42 awards and recognitions, I realized my methods to success constantly required change as the requirements and expectations of clients always change. Purchasing property is an important decision , not to mention the ever-skyrocketing price of Singapore's properties. Thus, I have since learned to constantly change in order to exceed the expectations of client. So if you want to find the perfect home, a smooth transaction, a hassle free purchase process, you know who you should look for. With Shirley Ong, you can finally be assured with a peace-of-mind when it comes to buying, selling, renting or leasing properties!